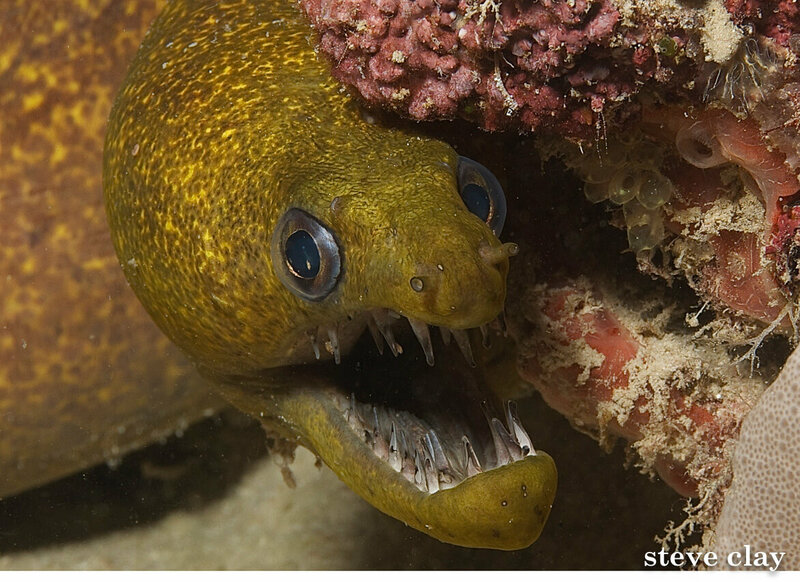 Moray eels are a firm favourite of divers, who love to encounter anything from the enormous giant moray, to the small but colourful ribbon eel. Usually hiding in a hole or crevice during the day, they are nocturnal creatures who come out to hunt at night, when their poor eyesight is less of a handicap, and their amazing sense of smell leads them to find their next meal. 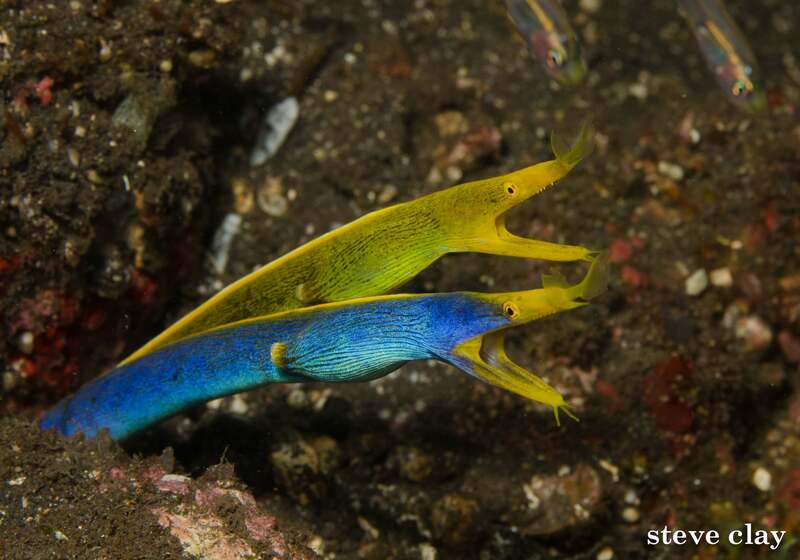 They can be aggressive looking, opening and closing their mouths repeatedly, but because of the position of their gills, next to their mouth, they have to, to force water through in order to breathe. They might look a little scary, but they’re quite shy really, and are quick to retreat into their holes – however, if they feel threatened, they can give a nasty bite, but only as a last resort. 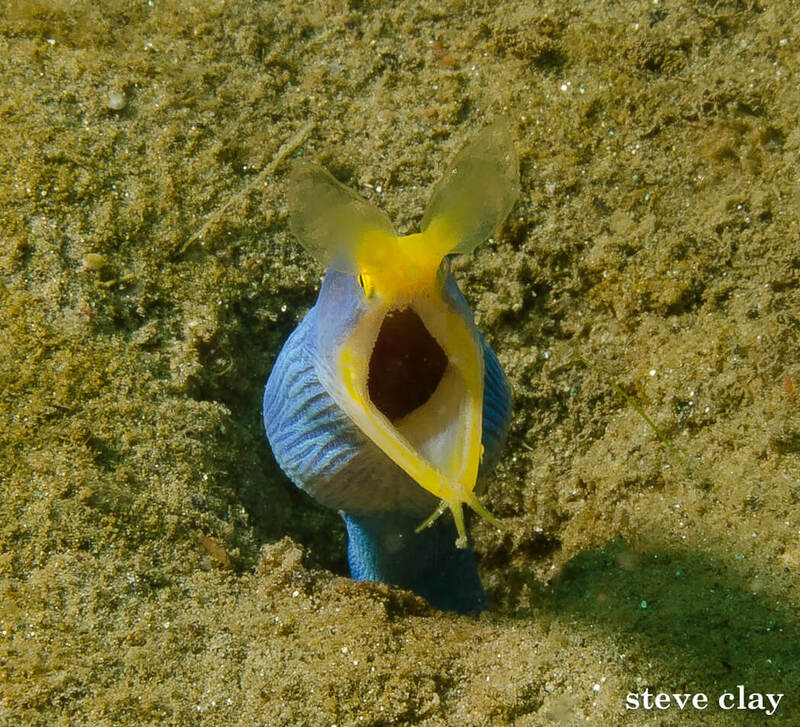 Morays make their home in a variety of environments, from the giant moray hiding in rocks and crevices on coral reefs, to the ribbon eel burrowing into a sandy bottom. 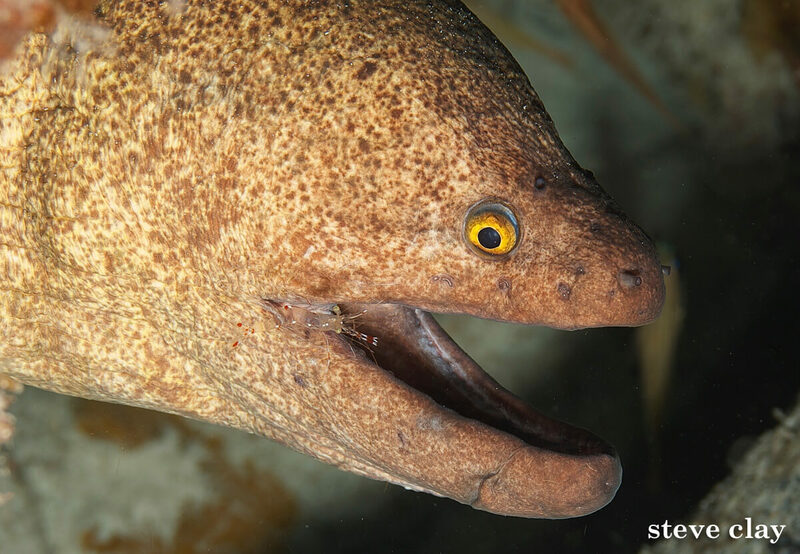 They are bottom dwelling fish, and it’s a real treat to see them swimming around, which mainly happens at night. They have a powerful bite, with their sharp teeth pointing inwards, making it difficult to release something once it has been bitten. Did you know, they also have a second set of jaws in their throat, and use these when feeding, forcing their prey down their throat with their extra set of teeth!